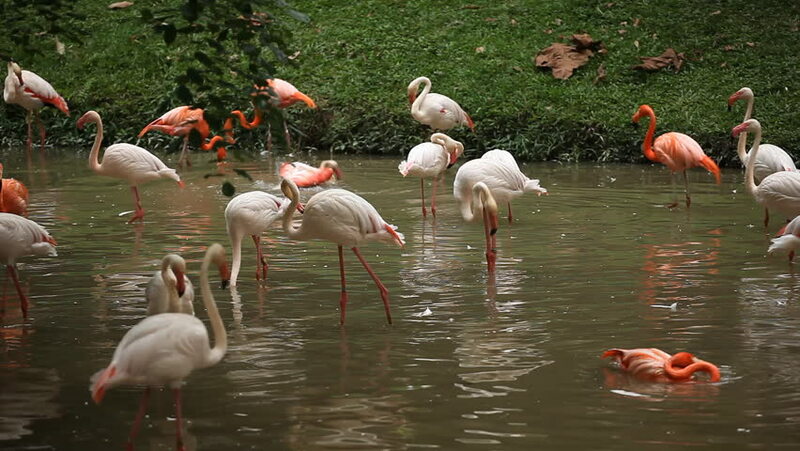 4k00:15Flamingos wandering around in pool of water as they are in small flock on a pond. 4k00:09Flamingos in small pond grooming themselves standing in the water. 4k00:24a Large Group of Pink Swans Has Arrived to a Lake. They Float on Its Surface. Swans Clean Their Feathers and Hunts on Fishes. hd00:10A video of a flock of flamingos frolicking. There are a number of mature and juvenile birds to be seen, and heard.